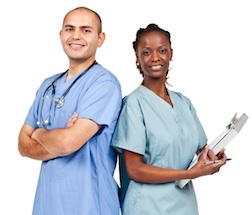 Find The Perfect Nursing School And Medical Career Programs. You've undoubtedly heard the news: nursing is the fastest growing career in the U.S. But, what does that mean for you? How can you get on the path to a successful nursing career? All you need is a plan. As a student, you can decide which nursing degree path fits your specific skills and interests. Choose what kind of nurse you want to be, then pick a school to put you on that path. We've reviewed huge numbers of nursing schools from California to New York and everywhere in between.